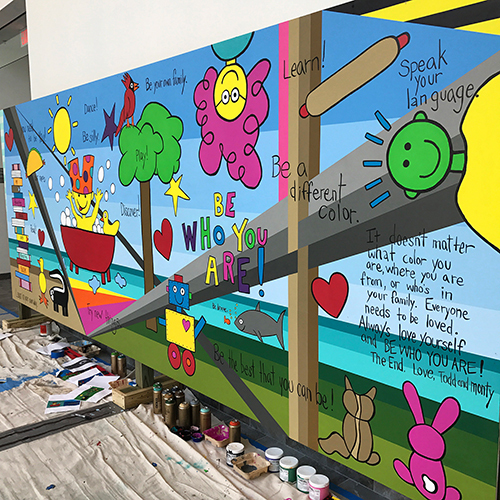 Right side view of the “LIVE” collaborative mural with Todd Parr during the Virginia Children’s Book Festival at Longwood University in Farmville, Virginia. The children and attendees of the festival also painted with us on the mural over the three days. The mural is currently at Centra Southside Community Hospital in Farmville, VA through December 2016 and will be permanently installed in the Children’s Hospital of Richmond, Virginia in January 2017.